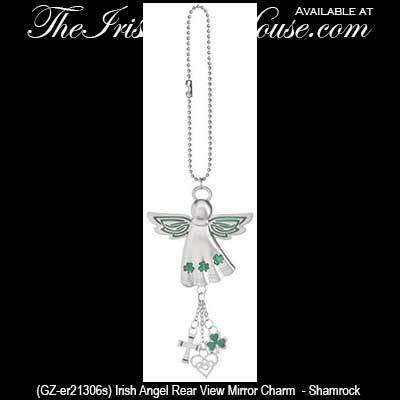 Irish rear view mirror charms feature Irish angels along with shamrocks and the Irish flag. These Irish car charms are a great gift for a new driver or for a new car owner. This mini Irish flag wind chime may hang as a charm from the rear view mirror of your car. 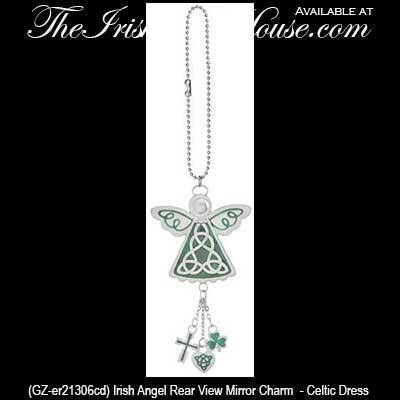 This Celtic knot Irish angel car charm hangs from your rear view mirror. 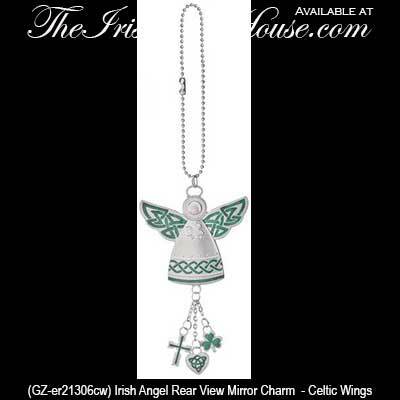 This Irish angel car charm with Celtic wings flys from your rear view mirror.